- I have included batch files basically to automate most of the changes through the season. Also this will slightly integrate the 2009 Scoring System by automatically replacing certain files (RFM and GDB) to emulate for example the number of laps for race 1 and 2, etc. - How do they work? In the "F3 Euroseries" folder, you can see files of executable commands in which when pressed will replace necessary files either in Veh Folder, Track Folder, etc. 3. 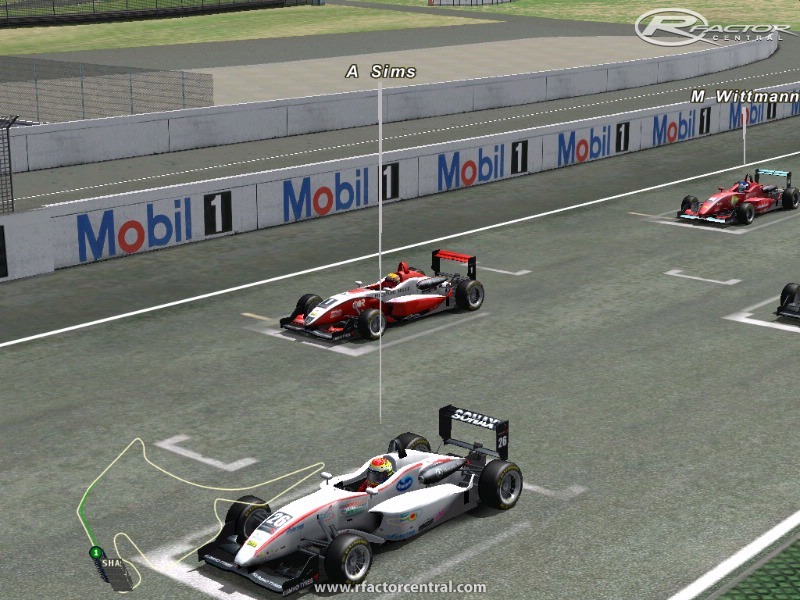 Run rFactor, select F3 Euroseries and enjoy! - Upon installation, all 33 drivers can be played but for better emulation of the 2009 Season, run the batch files. As checked in many F3 Euroseries sites, 28 drivers have been the maximum so far for the Season. 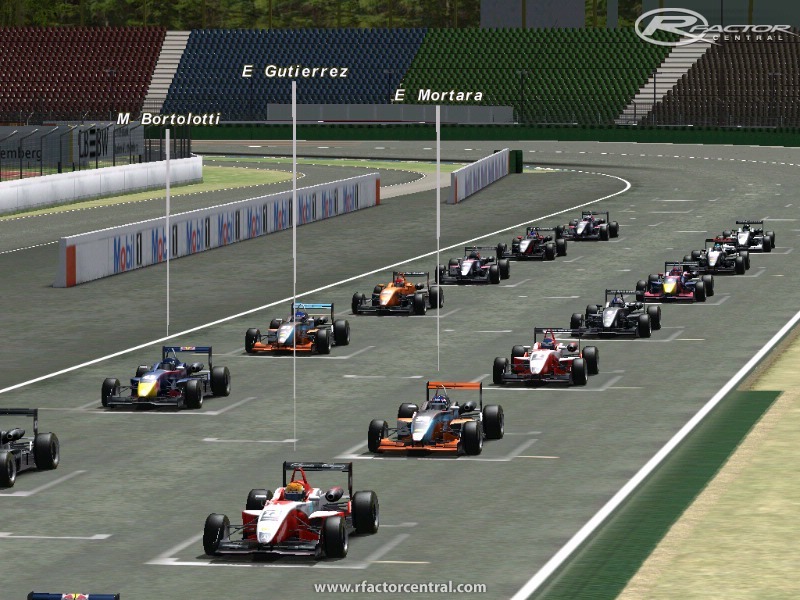 - I am currently running the F3 Euroseries 2009 with "0" in the AI Limiter, AI Strenght of "120" and AI Aggression in "100" and so far I have been getting some good racing with the familiar names always on top step. I suggest you try this settings to emulate the 2009 season. Will there be a new version of the Dallara F312 with the high nose?? Or can somebody who is familiar with a mod design program change the hight of the nose??? could someone make a paint of the car of Juncadella (blue Astana paint)....thanx!!!!! 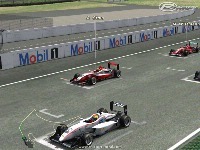 any change for a 2012 skin update or the new Dallara F312 car??? Did you mean, when you start the game then it just reverts to whatever Series you chose in rFactor? or is it blank spinner but with the F3 Euro Logo? I can't install it, i drop the files to the right place but when i start the game nothing happens, eny ideas?